If you're a fan of The Phantom of the Opera then have we got a treat for you! As it takes place on Monday 13th May 2019 at the popular entertainment venue – Majestic Theatre! Of course it does, why else would it be listed here! So what are you waiting for, grab yourself a ticket to the legendary The Phantom of the Opera event today and catch all of the exciting action LIVE! Experience the spectacular production of The Phantom of the Opera – one of the most talked about Theatre events of the year! This life-changing show comes to Majestic Theatre on Monday 13th May 2019, bringing the critically acclaimed performance to the stage and creating a world like no other! Escape from the routine of your usual Monday and find yourself totally immersed. A hit from day one, there's a reason The Phantom of the Opera has been the Theatre show on everyone's lips – you've never seen anything quite like this! 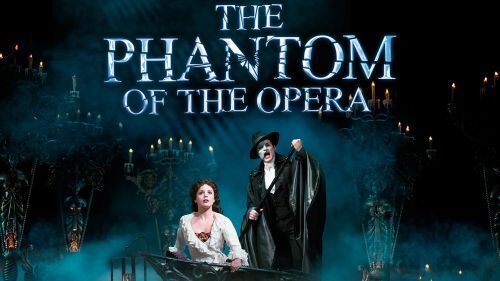 Make sure you catch The Phantom of the Opera while it's in New York City – tickets will sell out quickly and you won't want to miss this unforgettable show!